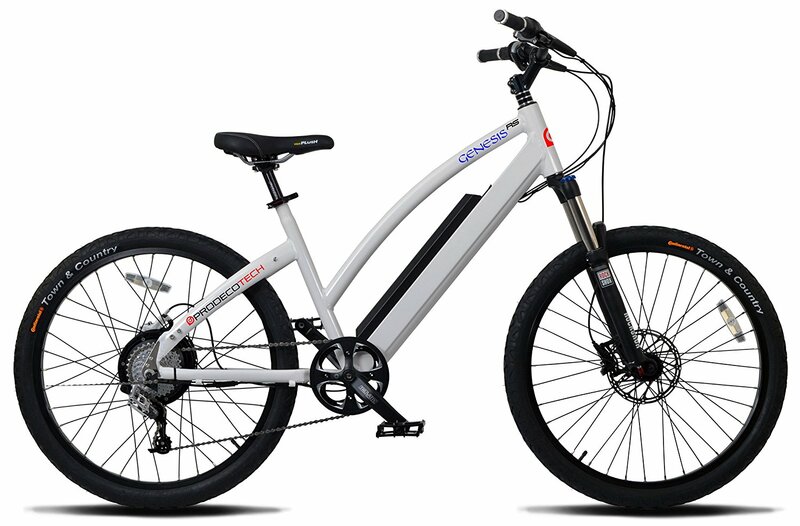 The best all around, American-styled bike on the market today, the Phantom 400 is designed to be an everyday rider but can handle a variety of terrains. 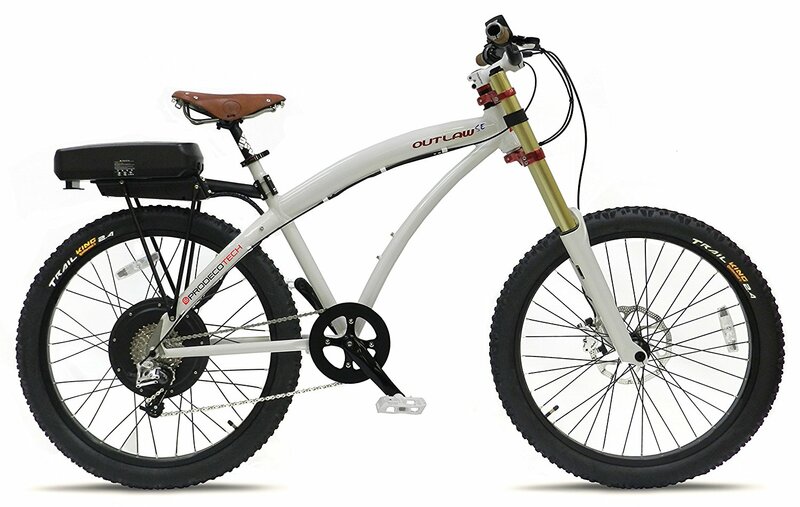 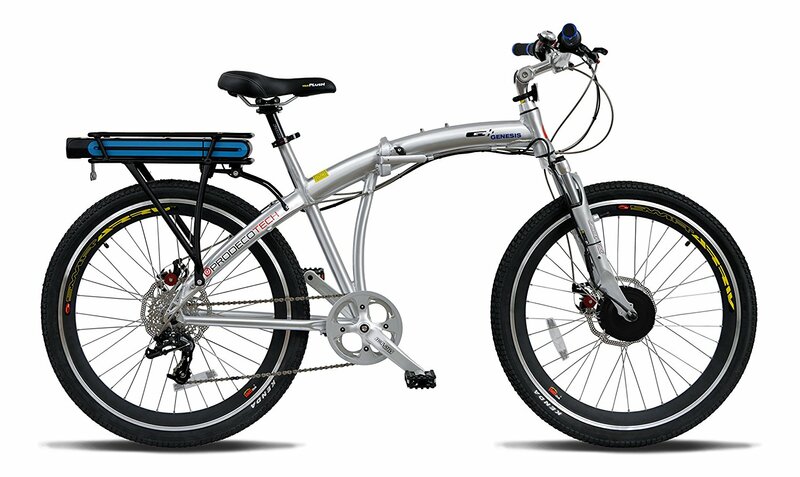 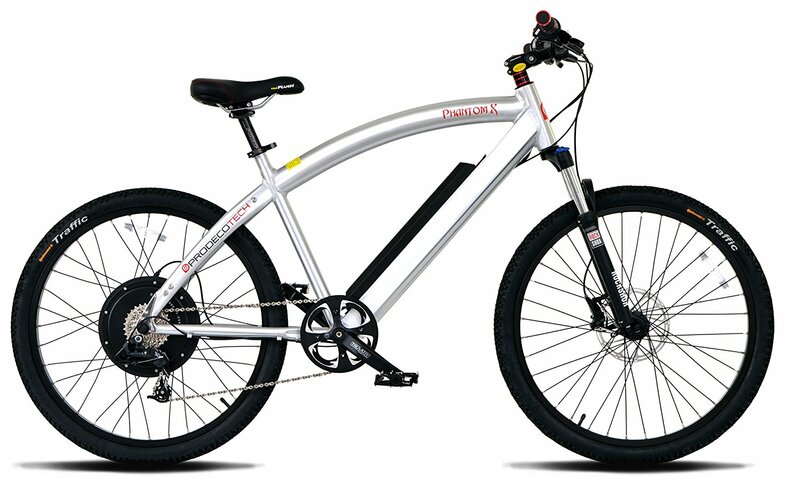 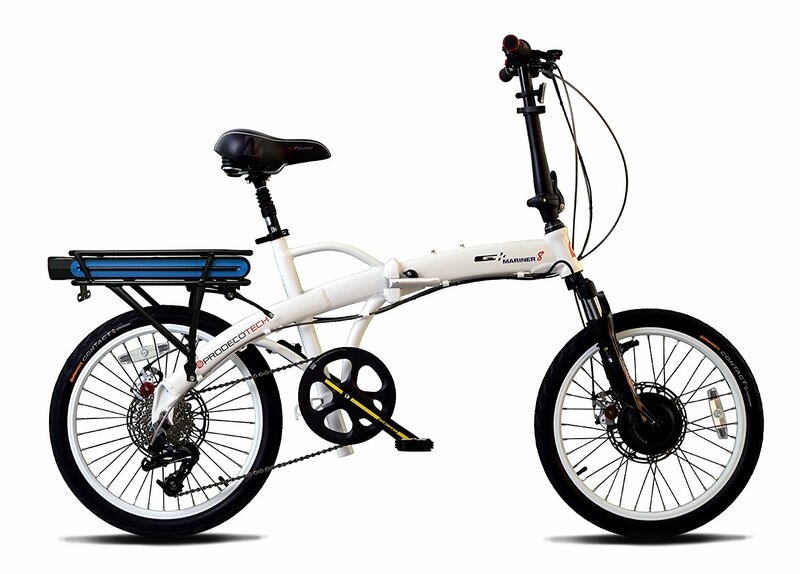 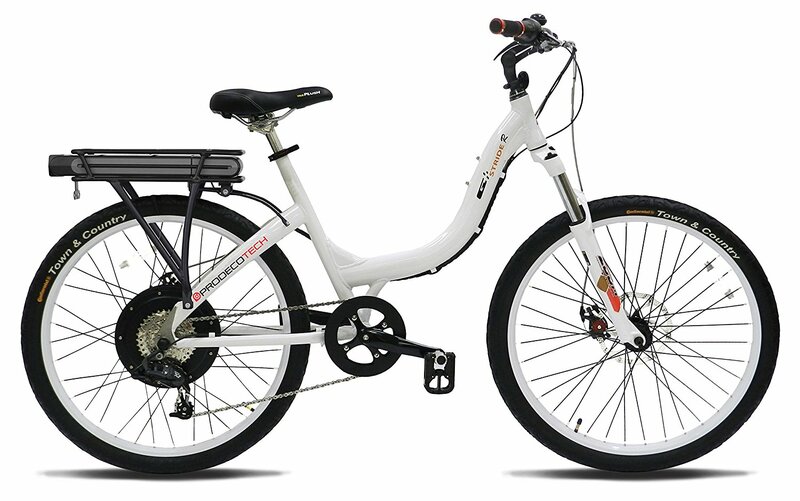 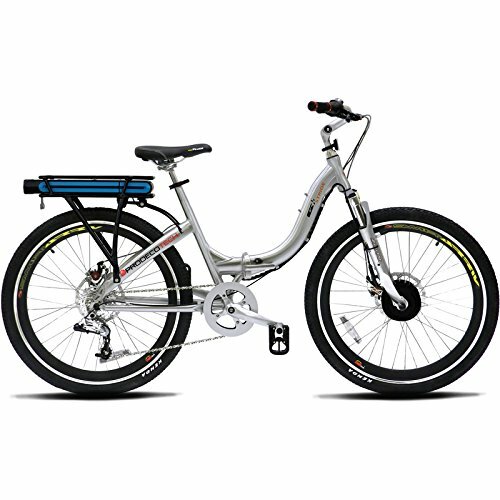 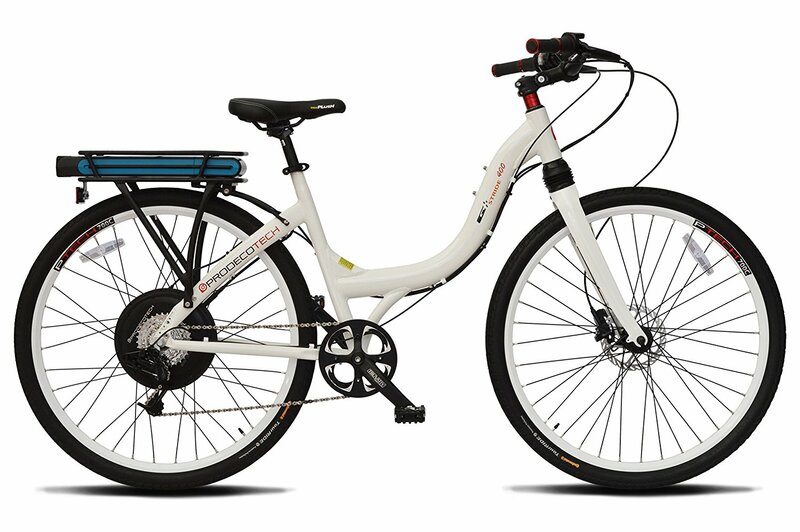 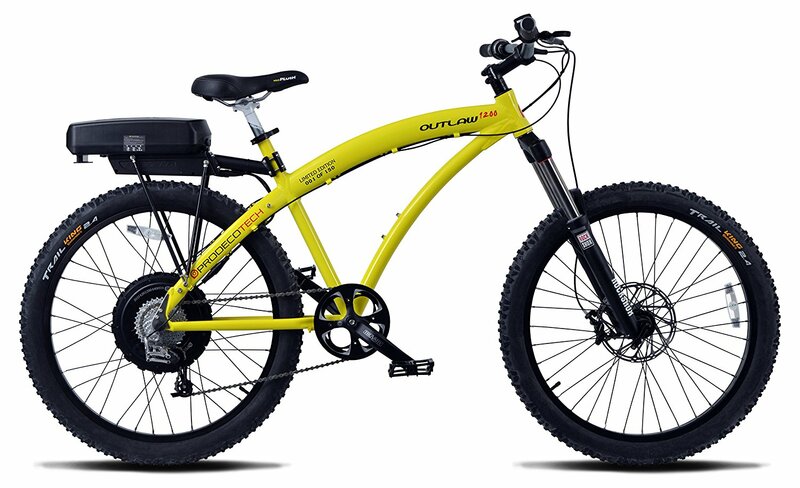 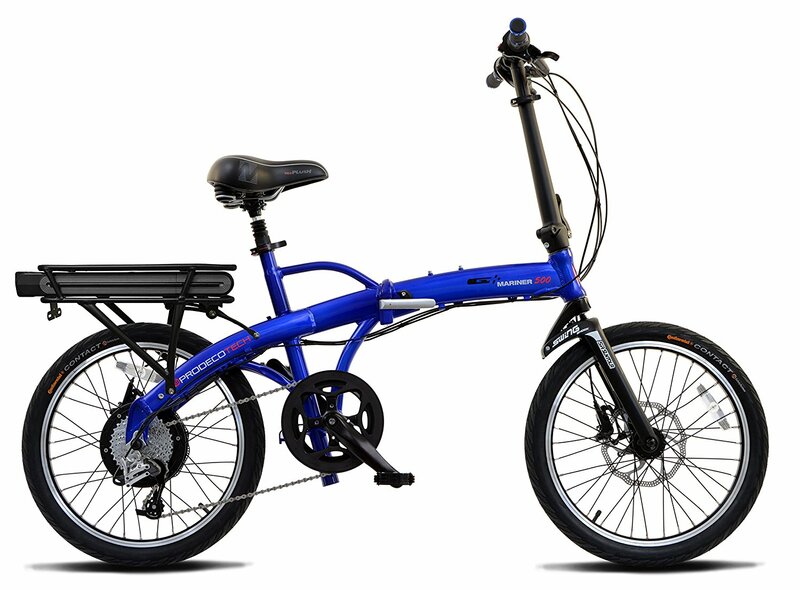 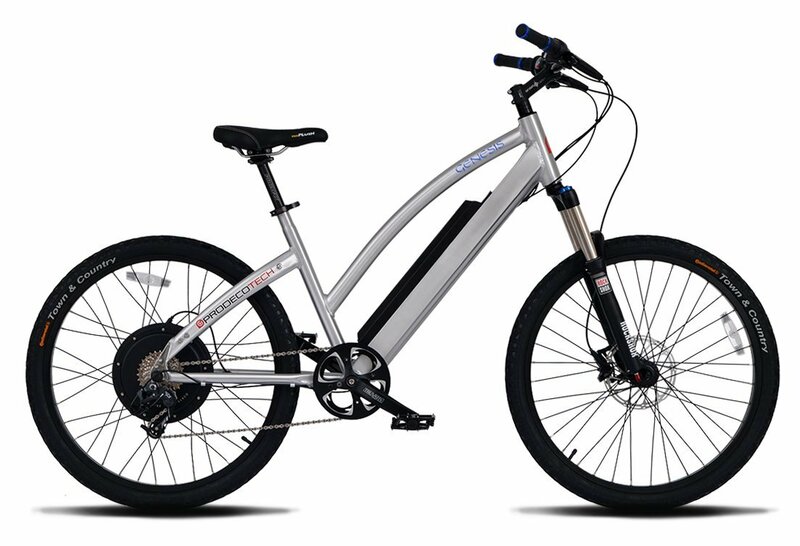 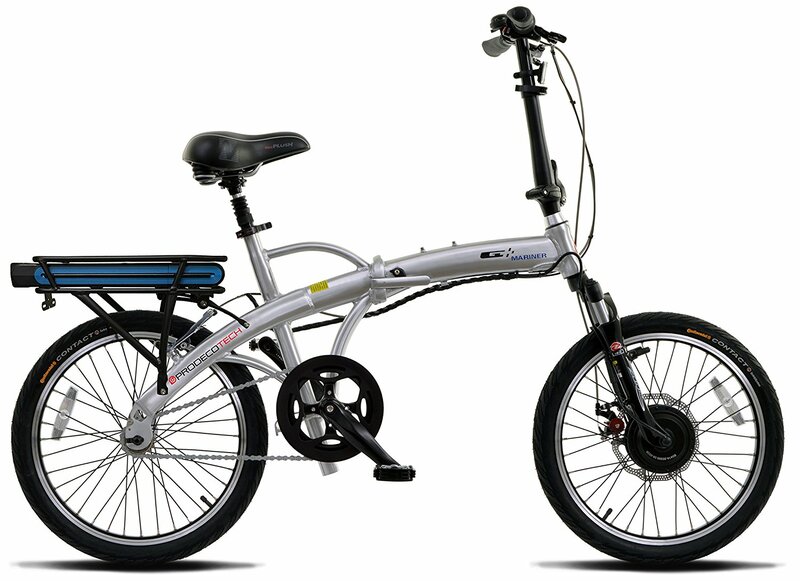 Called the Phantom 400 to pay homage to the powerful and reliable 400W Direct drive Motor, this is the ultimate electric bicycle for versatility, power and reliability. 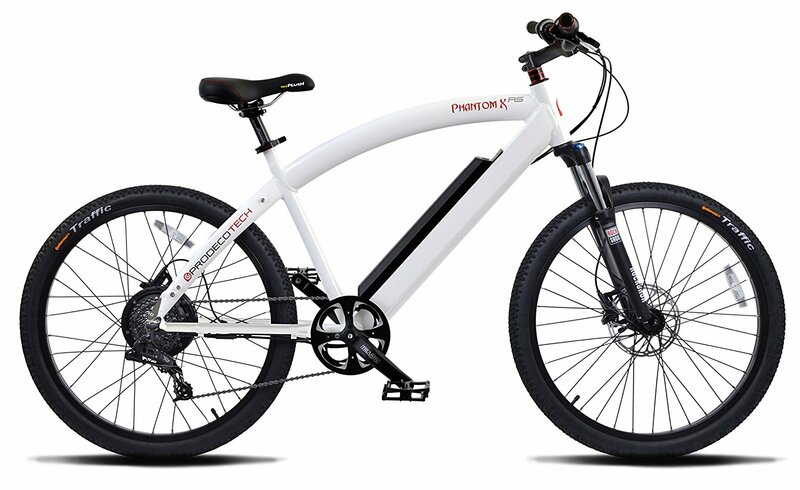 The Phantom 400 provides performance and speed in a beautifully designed package. 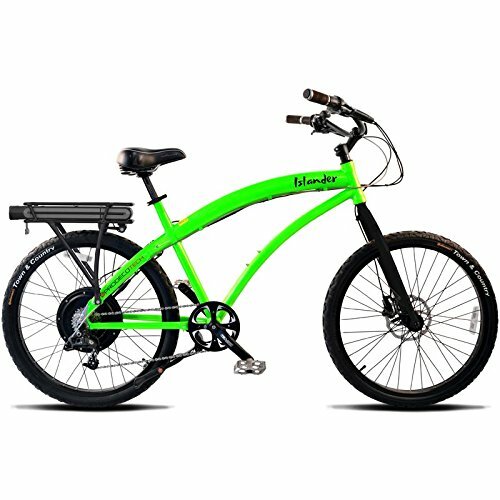 Whether you peddle or hit the throttle, the performance is like nothing else on the market today, especially at such a low price. 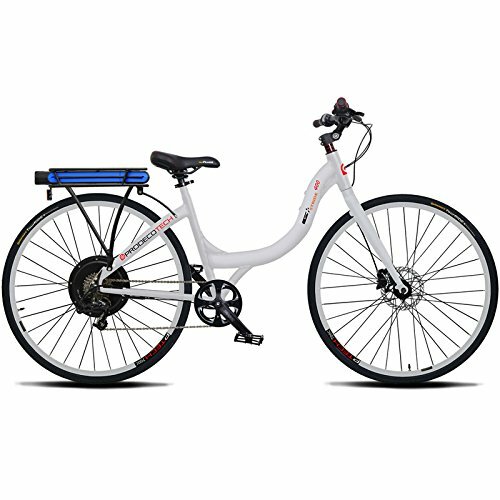 Powered with a rear rack mounted 10.4Ah Samsung cell battery, the Phantom 400 can get 25-30 miles on a single battery charge. 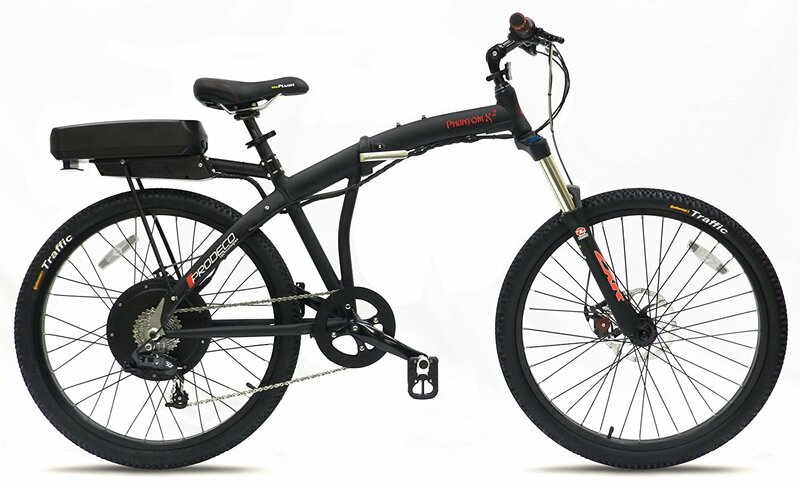 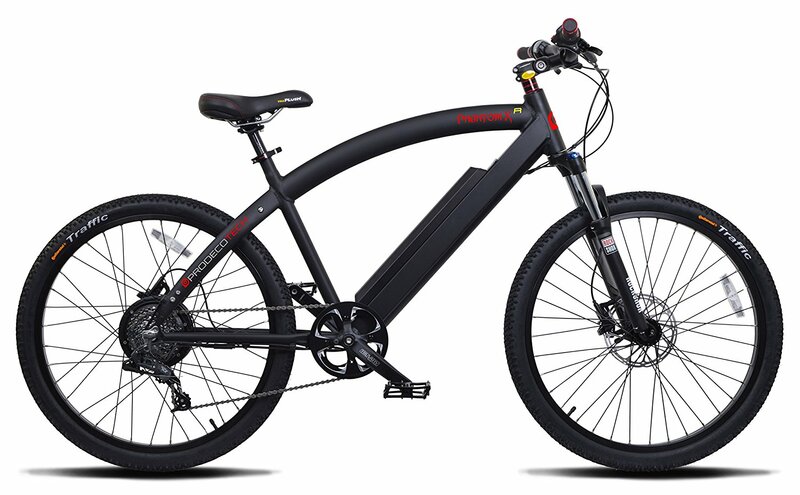 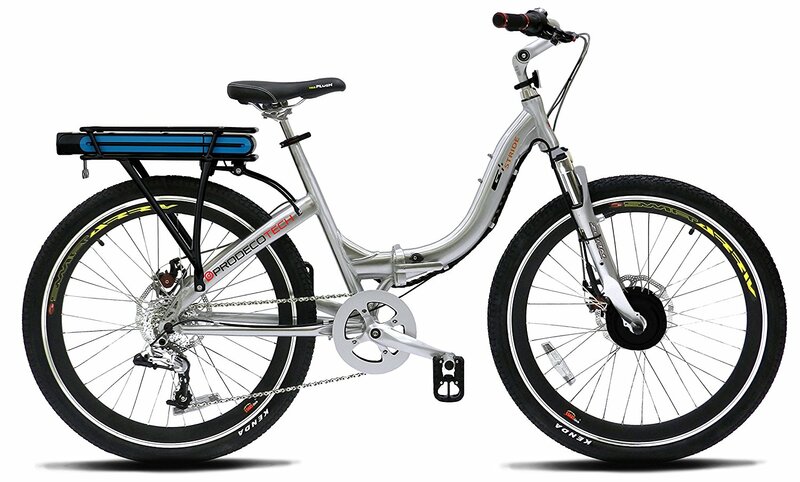 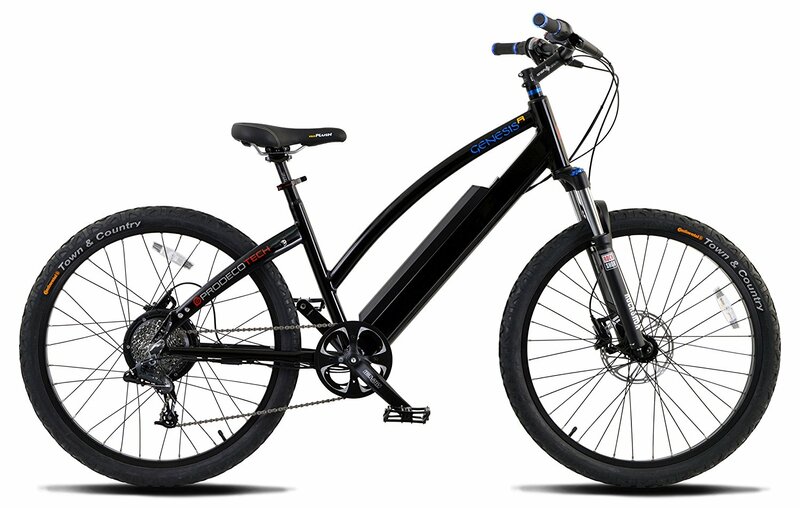 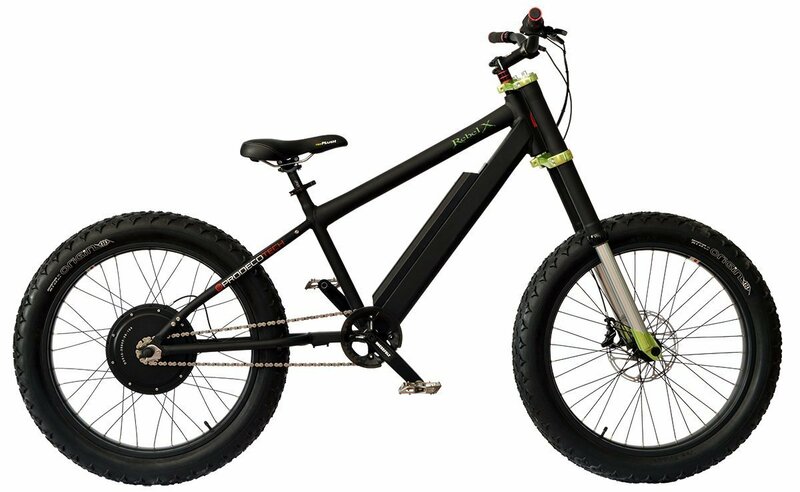 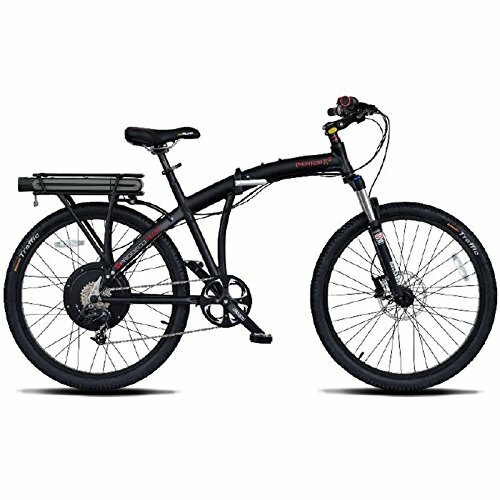 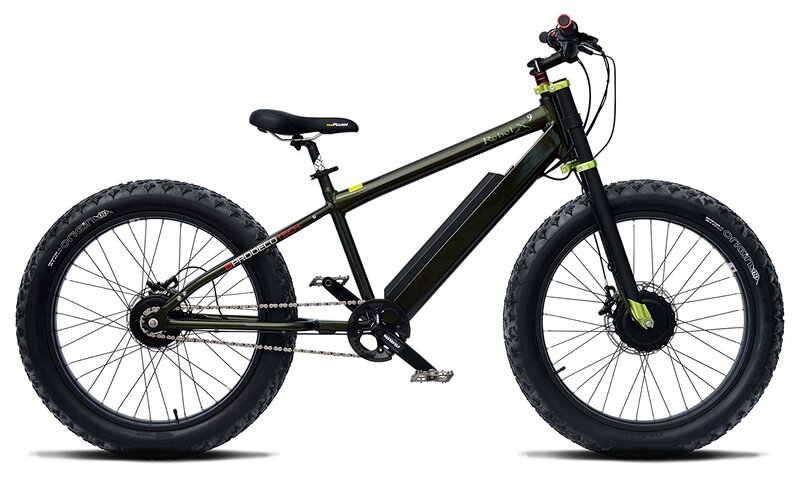 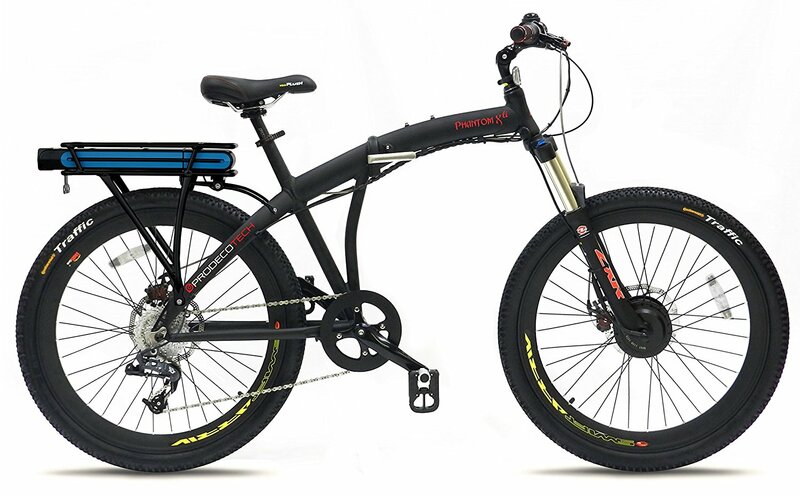 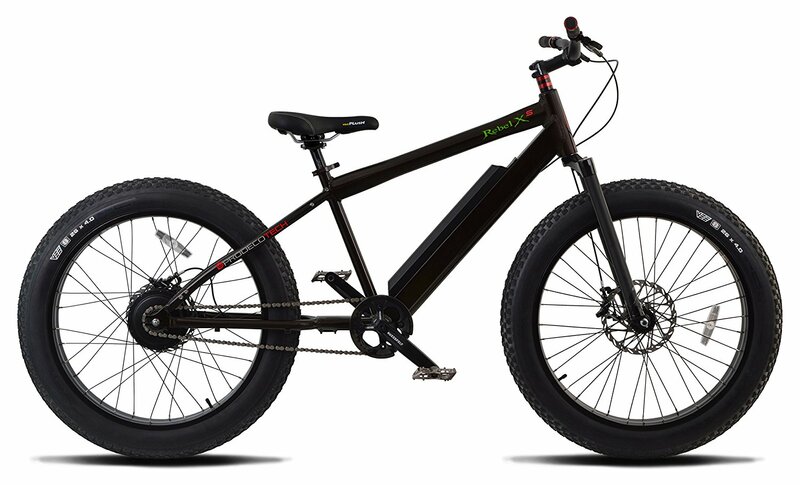 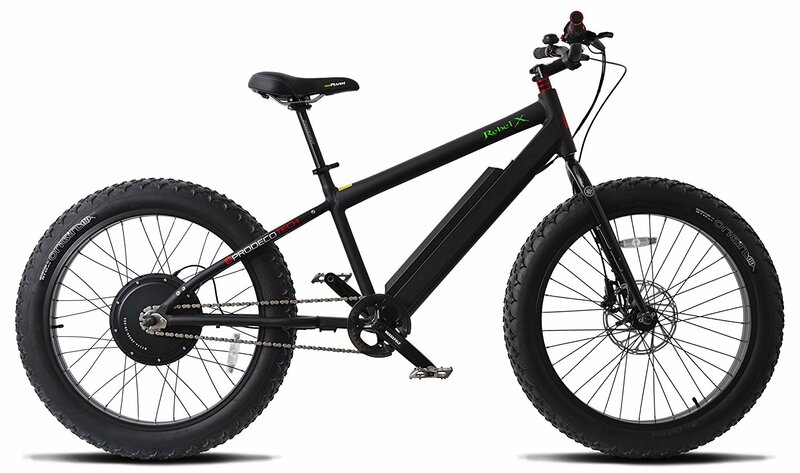 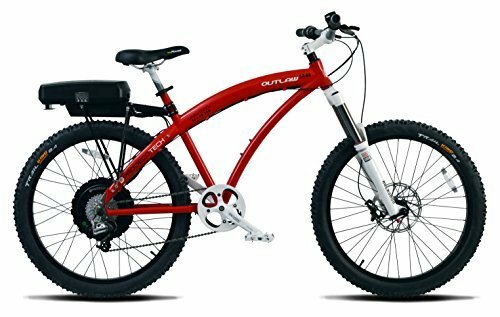 With 45mm wide tires and a magnesium mono-shock, this incredibly powerful electric bike offers everything you would want in an electric bike at an extremely affordable price. 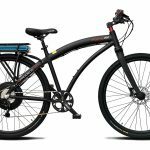 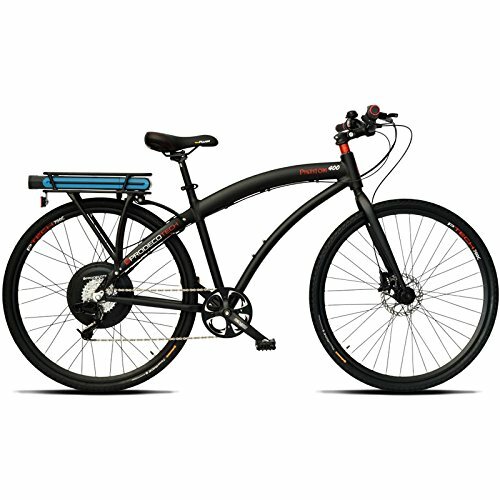 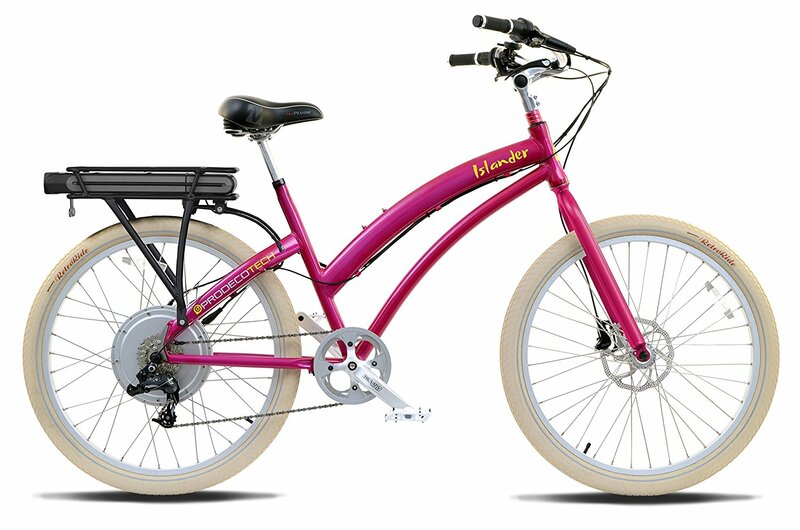 The 400 watt Direct drive Motor located on the rear wheel allows the bike to go up to 20Mph with just a twist of the throttle. 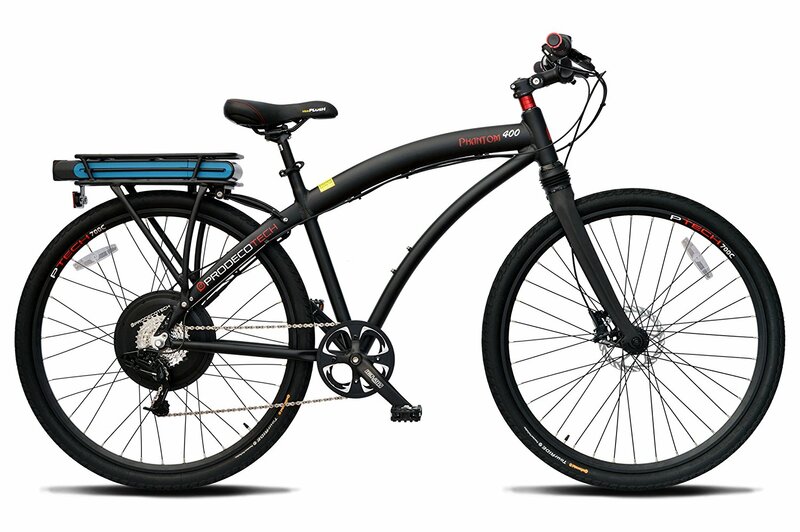 The SRAM X7 twist 8-speed shifter and SRAM X4 derailleur make shifting gears seamless for an unparalleled riding experience. 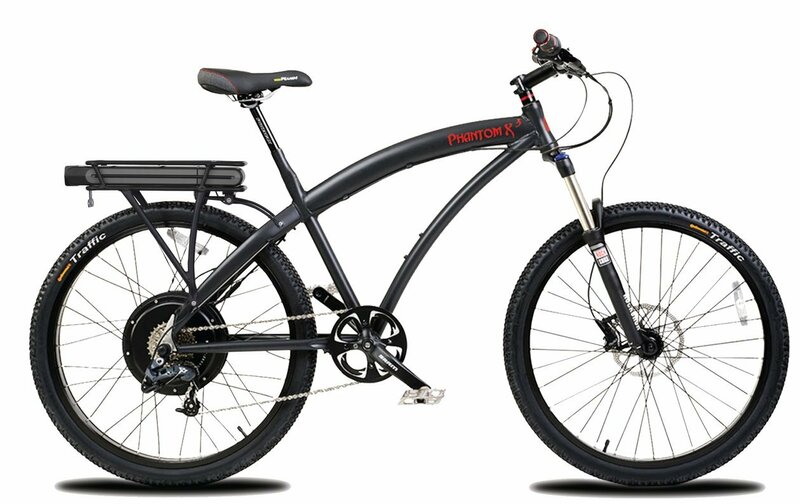 The Phantom 400 from ProdecoTech is hand built in the USA from top components and offered at an unbeatable price.